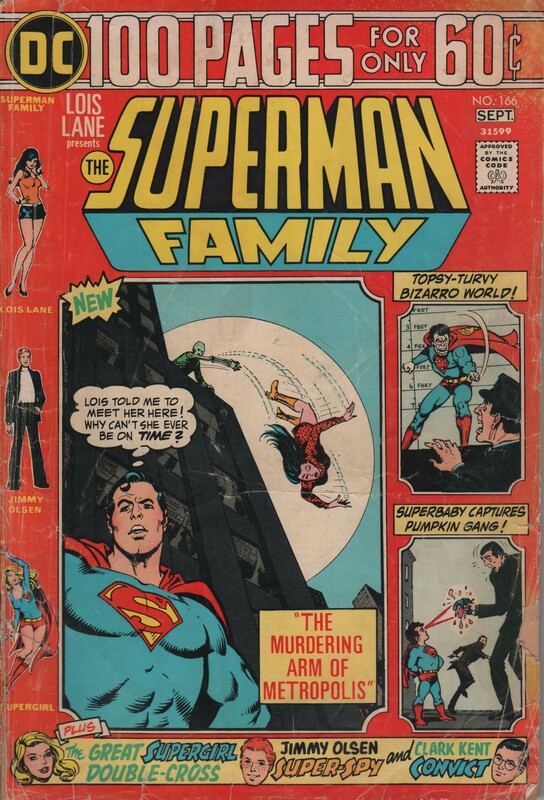 The Superman Family #166, 1974. “The Murdering Arm of Metropolis” | Magazines and Monsters! ← The Brave and the Bold #117, 1975. Batman & Sgt. Rock! Admittedly, I’m not the biggest fan of Superman in the comics. I do love the first two Donner movies, and also the animated series from the 90’s, but the comics just always fell flat for me. Not that I’ve read a ton or anything, but it just doesn’t resonate with me personally. That being said, check out this awesome cover by the late, great, Nick Cardy! Interior work from Jim Mooney, John Forte, and Curt Swan (among others)! Enjoy! Pingback: DC Comics The Superman Family! | Magazines and Monsters!